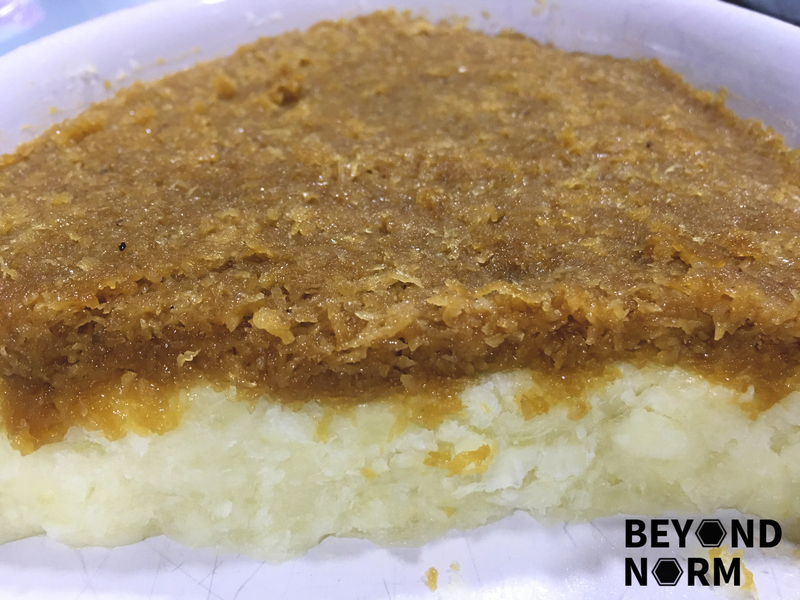 Getuk Ubi or Pounded Tapioca Cakes; it does not matter what you name this kuih as this is one of the kuihs which I enjoy eating. As mentioned in my earlier post, Ubi Kayu (Steamed Cassava/Tapioca Kuih With Coconut), I am simply a lover of any kind of tapioca desserts. This kuih I know is fondly loved by the Malay communities in Malaysia, Singapore, Brunei and Indonesia and I am sure even the Chinese and other communities loved it too! Getuk Ubi makes a good afternoon snack or a sweet dessert for after dinner. 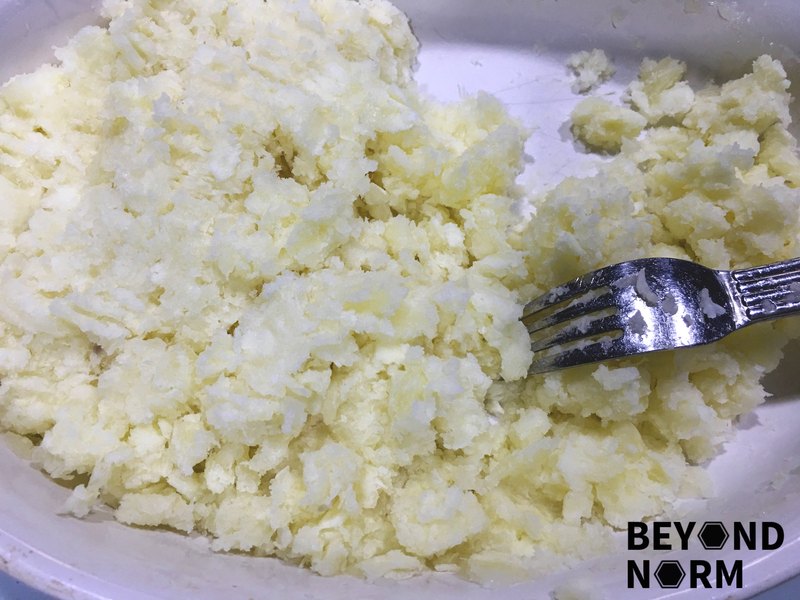 When you sink your teeth into it, the intense flavour of the grated coconut and palm sugar balanced so well with the minimal flavoured cassava at the bottom… Mmm mmm, simply irresistible. 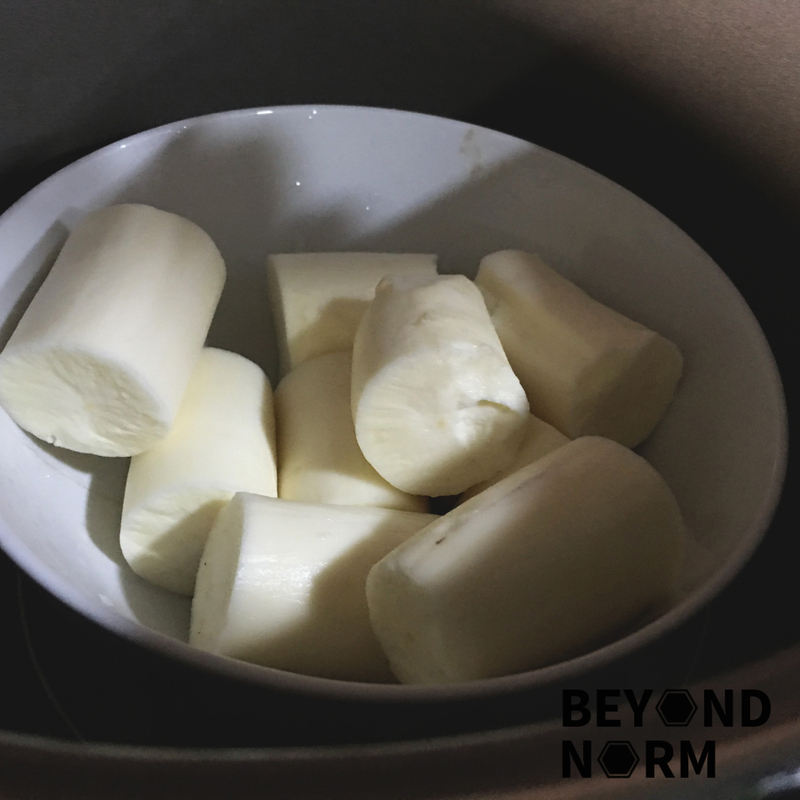 I know, I know you will be tempted to have more than you should… BUT bear in mind, it is high in carbohydrates so eat it moderately. This is why I am making a minimal portion so that we will not overeat. Hahaha. Peel the skin off the tapioca. Rinse off the dirt from the tapioca. Cut into small pieces and transfer them into a dish. Steam the tapioca for 40-45 minutes or until soft. Sprinkle sugar and salt evenly into the steamed tapioca and mash while it is still hot. For a better texture, you can leave some tapioca in bite sizes. Do not forget to remove the fiber in the middle of the tapioca. Pour in the mashed tapioca and press till firm and even. 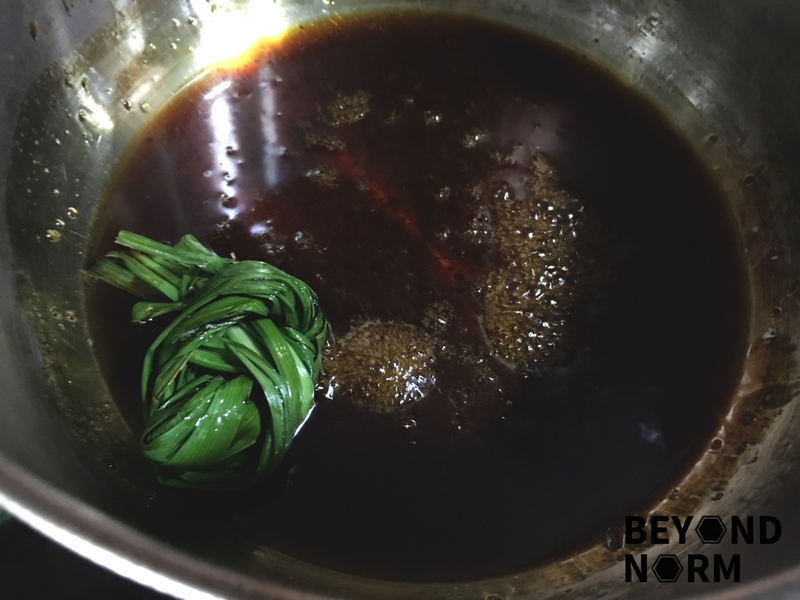 Add the palm sugar, sugar, water and knotted pandan leaves in a saucepan. Bring to boil and stir until sugar is dissolve. 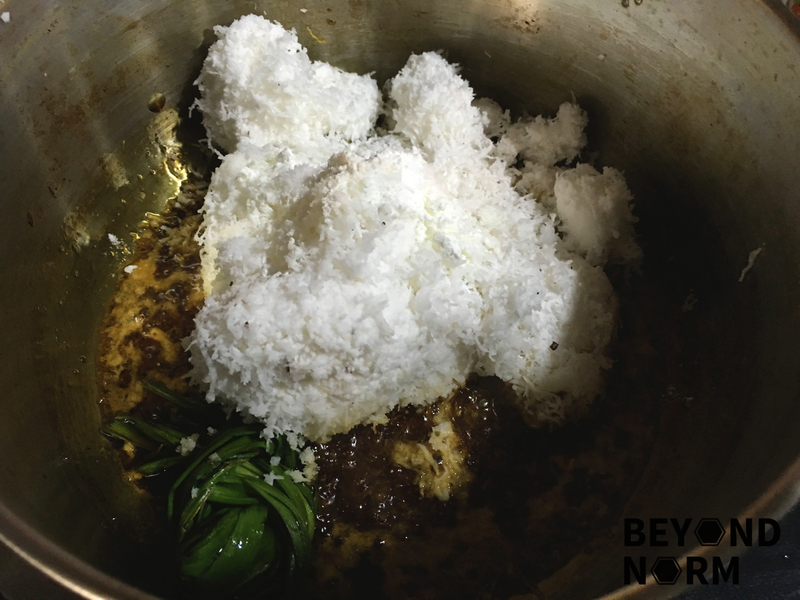 Add in the grated coconut and coconut milk with corn flour. Stir until the coconut is drier and thicken. Spread the sweet coconut toppings onto the compacted tapioca. Ensure that it is also spread evenly and firmly. Cut into bite size and serve. Wow! This sounds amazing I wonder if I can get this tapioca here? That’s also one of the Philippines’ favorite sweet snacks. Here in the US, every Filipino grocery store sells cassava, already grated. 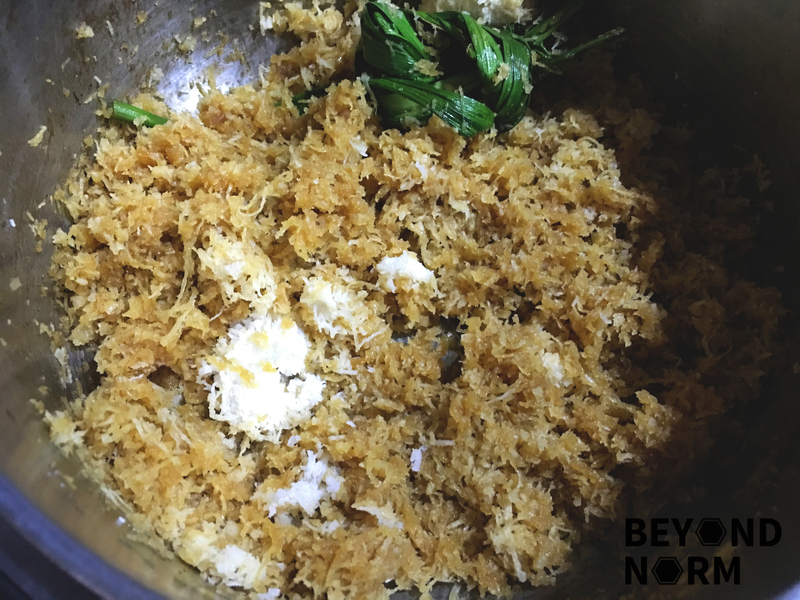 There are also tons of different popular cassava recipes, such as pichi-pichi…. 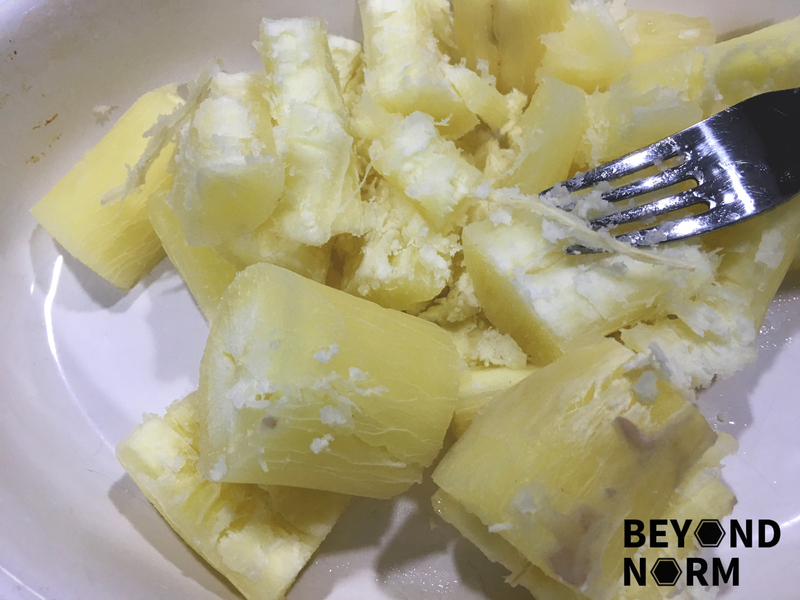 or sometimes, Filipinos just boil the cassava, and eat it by dipping it in sugar.